Bangkok Post. 18 November 2007. The world’s diverse languages should be spoken, celebrated, and preserved, writes SHELDON SHAEFFER (pic above). Not a week passes without the report of a species – ranging from Bornean orangutans to Australian spiders – being threatened, endangered, or newly extinct. Large amounts of resources, both human and financial, and considerable passion, of both environmentalists and developers, are expended in the fight over whether to save the species or let it die. The preservation of biodiversity, seen as essential for a sustainable future, has become a major battleground of this century. If only so much passion were devoted to another kind of diversity – that of languages and cultures! For languages – and the cultures they transmit – are in serious trouble. Ninety-seven percent of the world’s people speak only 4% of the world’s languages, which means that only 3% of the world’s people speak 96% of its languages. In 1992, the linguist Michael Krauss predicted that, if nothing were done, 90 percent of the world’s 6,000 or so living languages (1/3 of which are in Asia) would become extinct over the next hundred years. Fifty percent of these he classified as “moribund” (where the language is not being taught to or learned by children of the language group) and another 40% as “endangered” (where the conditions exist that, if not changed, will result in the language not being passed on to the next generation). Thus, only 10% of the world’s total languages can be reasonably classified as “safe” – in other words, languages which have very large numbers of speakers and official state support. Linguistic and cultural diversity is under serious threat around the world. “If nothing is done” is the key phrase here. If nothing is done, these languages and their cultures will die; the result will be an unprecedented loss of linguistic and cultural diversity over the course of this century. But what actually is lost – not only to scholars but also to the world as a whole? Since every language has within it a unique world view and culture, when it dies, we lose something which can never be replaced – among other things, of course, traditional knowledge, history and wisdom. The world’s small ethnic minority language communities represent a relatively large percentage of the worlds illiterate population. Why? In part, because ethnic minorities are frequently marginalised from the mainstream of their nation’s social, economic and political life and institutions. They are allowed into that mainstream life – if at all – only by leaving behind their own ethnic and linguistic identity and taking on the language and culture of the dominant society. This is not a new process. It is the long, well-known, well-documented, and sad history of minority communities throughout the world. This history is happening now in Thailand and elsewhere in Southeast Asia. Linguists estimate that over 70 languages (not dialects, by most definitions) are spoken in Thailand (with hundreds more in the other nations of ASEAN), and that perhaps up to 50% of children in Thailand do not speak standard Thai as a mother tongue at home. But few recognise these facts and fewer still are willing to see such diversity as a source of richness rather than of confusion, as an opportunity rather than a problem. And very few understand that official recognition of, and support to, minority languages (rather than their neglect and even suppression) can help to raise the prestige of the government among minority communities and thus enhance (rather than subvert) their loyalty to the nation. But to ensure that language remains the “strength” of ethnic minorities, their languages must often be further developed or revitalised to save them from extinction. Another noted linguist, Eric Crystal, suggests several steps to be taken to protect languages from extinction For example, an endangered language will develop if its speakers can increase their prestige within the dominant community, increase their wealth relative to the dominant community, and increase their legitimate power in the eyes of the dominant community. Even more important, perhaps, are the ability of the speakers of the language to be able to write their language down and a strong presence of the language in the education system. In other words, it is essential to ensure that the only schooling experience of children who speak a minority language is not in a language they do not speak and often cannot understand. Education systems therefore play a critical role in whether languages become extinct – or are able to survive and thrive. Because the education systems of nation-states reflect the values and aspirations of the dominant society, the ethnic minority children encounter a major barrier to their participation in the life of the nation when they arrive at the door of their school. Most formal education systems, in fact, are inappropriate for, or even hostile to, indigenous groups and their languages. This is especially true in relation to the use of such languages in school. In many countries of the world, in fact, mother tongues are forbidden to be spoken in the classroom. It is therefore critical, both for cultural and linguistic development and for academic achievement (including mastery of the national language and of international language) that early education and initial literacy – even for adults – be conducted in the learners first language or mother tongue. There are many reasons for this. Among others, the science of learning asserts that it is necessary to begin school from where the learners are; the starting point of learning how to read and write is the language spoken and understood by the learner – in other words, begin with the known and move to the unknown. More practically speaking, it is impossible to teach the majority of children how to read and write in a language they do not understand. The results of research overwhelmingly support bilingualism or multilingualism. A recent study by the International Institute for Educational Planning of UNESCO in Paris showed that a strategy of bilingualism produces better learning outcomes and higher rates of internal efficiency in schools; that using the language understood by learners as the medium of instruction not only builds trust, initiative, and participation in the learning process but also promotes participatory teaching method; that encouraging the use of an (ethnic) language as the medium of instruction stimulates the production of school and cultural materials in that language, broadens the body of knowledge to be learned to include local knowledge, and facilitates learners integration into national social and cultural life; and, most importantly, that education in local languages can contribute very much at the political level to improving relations between national political leaders and the base of the societys multilingual population. Papua New Guinea, not a rich country by any means, is particularly famous for both its biodiversity, with exotic new species found every year, and its cultural and linguistic diversity, with over eight hundred languages spoken both, no doubt, because of its unique geography of isolated mountain valleys and small islands. Yet Papua New Guinea is able to provide initial literacy in the first three years of primary education in over 400 languages. More and more countries in the Asia and Pacific region are making a similar effort, in far less challenging contexts. The net result, I would argue, will be greater mastery of both mother tongues and, eventually, national and international languages and revitalised ethnic minorities communities, more able to play their appropriate role in supporting and enriching the nation as a whole. 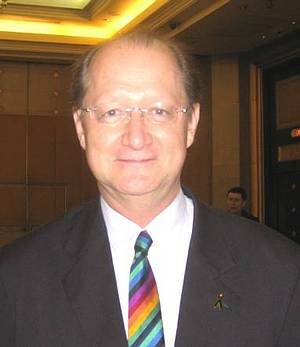 Note: Dr. Sheldon Shaeffer is currently Director of UNESCO’s Asia and Pacific Regional Bureau for Education, located in Bangkok. A citizen of Canada, he was educated in history (B.A. ), anthropology (M.A. ), and comparative international education (Ph.D.) at Stanford University. He has taught, done research, and worked in development programmes in Southeast Asia for over 20 years – as a high school teacher in Malaysia, as an anthropologist and an education programme officer for the Ford Foundation in Indonesia, and as the regional education advisor for UNICEF in Bangkok. He was also for 10 years the Director of Education and Population Programmes for the International Development Research Centre in Canada and later was a senior research fellow at the International Institute for Educational Planning (UNESCO) in Paris. Before moving back to Bangkok over six years ago, he was chief of UNICEF’s global education programme in New York. Nama reti leka jaku “medan” ? how to translate degree of truth in iban. What are you studying actually, Fran? currently im doing my thesis on iban language and im interested to know where does iban language come about? and does it have different dialects in diffrnt parts of sarawak? Iban language definitely comes from Iban themselves. But naturally it has the influence of other languages over the ages. Thus there are similarities between Iban language with other major ethnic languages in SE Asia, especially the Malay language and other Dayak languages of Borneo. Among the Iban communities of Borneo, there’s definitely differences in dialects. Perhaps you can trace the origin of Iban language along with the origin of Ibans from Emperan (Danau Majang tauka Sentarum diatu) Kapuas Ulu and before that from Sumatera (during Srivijaya and Majapahit) as the Early Iban migrations stories here, and the Ibans’ interaction with other Dayak ethnics in Kapuas Ulu. Hudson (1970) should be credited for identifying and defining the Malayic Dayak subgroup. Previous scholars were not aware of this subgroup and classified the Malayic Dayak languages either with the Malay dialects spoken by Muslims on the Borneo coast or with the Land Dayak languages. In this way they classified Iban as a Malay dialect, and Salako as a Land Dayak dialect with strong Malay influence. Kendayan Dayak was seemingly also considered as a strongly Malayicized variety of Land Dayak (cf. Cense and Uhlenbeck 1958). Hudson, however, calls Iban, Kendayan, Salako and other closely-related Dayak languages ‘Malayic Dayak’, and he classifies them together with Malay and other Malay-like languages into the ‘Malayic’ linguistic group. His term ‘Malayic Dayak’ is meant to distinguish Malayic languages spoken by non-Muslims in Borneo from other Malayic languages. It is therefore not a linguistic term sensu stricto, but the term is relevant in Bornean linguistics insofar as it distinguishes autochthonous Malayic languages from Malayic languages which are the result of later migrations of (Muslim) Malays into Borneo (e.g. Banjarese, Sarawak Malay, Brunei Malay and other Malay varieties spoken by Muslims). Hudson’s classification of Iban, Salako, Kendayan and related languages into a single subgroup distinct from Land Dayak is very important, as it emphasizes the fact that these languages are relatives of Malay which have undergone a separate development, and not hybrid forms of Malay with a strong non-Malay substratum or adstratum. In other words, these languages are highly relevant for the history of Malay and for the reconstruction of Proto-Malayic. For instance, Salako and Kendayan retained the causative prefix maka- and the subjunctive suffix -à? (Kendayan -a?). maka- and -à?/-a? reflect Proto-Malayo Polynesian (henceforth PMP) *maka-, a causative prefix, and PMP *-a, a subjunctive marker respectively. Both were lost in other Malayic languages. Iban buuk, Salako bu?uk ‘hair of head’ < PMP *buh(u ə )k (Malay rambut). An indication of the historical relevance of Malayic Dayak is the fact that many grammatical and lexical elements retained from Proto-Malayic in the seventh century Old Malay inscriptions in South Sumatra are still found in Salako and Kendayan (the ‘West Malayic Dayak’ dialects), whereas other Malayic languages have lost them. This is the case with some lexical items and also with the above affixes maka- and (Salako) -à?/ (Kendayan) -a?, which occur in Old Malay as maka- and -a (with apparently the same meanings). The passive marker in most Malayic languages is di-. This marker apparently did not exist in Old Malay (which used ni- instead), whereas in Kendayan and Salako it has not developed into a passive marker, but rather into an agent marker which is prefixed to the verb in case the agent is not expressed. Another important aspect about Malayic Dayak languages is that until recently they kept out of the main stream of Sanskrit, Arabic, Javanese, Persian and European influences which so heavily affected the lexicons of other Malayic languages. Hudson’s classification also pays attention to the fact that the Malayic Dayak languages are indigenous, whereas other Malayic languages in Borneo were introduced from Sumatra and/or Malaysia. This is important for the search of the original Malayic homeland. Three areas have been considered as a homeland: Sumatra, the Malay peninsula and Western Borneo. Kern (1889) was in favour of a homeland in the peninsular Malay area, and he rejected the possibility of a Bornean homeland. But his arguments do not hold (Adelaar 1988). The historical and linguistic evidence suggests that the Malayic settlements in the Malay peninsula are of more recent date than those in Sumatra or in Borneo (Bellwood 1993). In view of the geographical spread (in the interior), the variety (which in some cases cannot be explained as due to contact-induced change) and the sometimes conservative character of Malayic Dayak languages, some linguists tend to favour Borneo as the homeland of the Malayic languages (cf. Blust 1988; Adelaar 1988, 1992). lap nya jako injau ari jako bukai. leka jako iban ke endar nya kendas. Lap ukai ari jaku Laut Silap ti madahke utai ti dikreja nyak salah. Lap nuan ko kami Btu, lap ngena kain tauka tuala sapengudah kitai mandi.. Tang taja pia reti tauka meaninig lap nuan tu palaba aku enda tentu sebaka , laban someplace or part in Iban language tu nitih ka endur dini alai kitai diau or where we stay, Tang palaba aku nemu agila baka sida TUAI AYA GREGORY M TU..
‘lap nuan’- can it be a euphemism? i thought stupid is paloi. Lap also means paloi, bangga, bagu, tambap, beli, jugau, tatau, tuyu in Iban but as we all know, we have different words to to refer to the same thing. As we come from different part or area of residing, like Batang Ai, Batang Rajang or Batang Lupar, we have different words that refer to the same thing. Lap Nuan means UR Stupid. Sir, what does Bahasa Dayak / Iban “lap nuan” means in English?